THUNDER BAY – BUSINESS – Premier Gold Mines Limited (“Premier” or “the Company”) is pleased to provide an update of the Company’s 2018 exploration programs and strong results from its multiple projects in Mexico, Nevada and Canada. Premier remains focused on value creation from its asset base with success in exploration being a fundamental driver of this value. The Mercedes gold and silver mine is 100% Premier-owned and located in State of Sonora, Mexico. Operations are exploiting low-sulfidation quartz veins and quartz-veinlet stockworks utilizing underground mining methods at an ore extraction rate of approximately 2,000 tonnes per day. During 2018, the Mercedes team focused on steadily improving operational performance. This resulted in higher production and lower mining costs in the second half of the year. Figure 1: Mercedes regional geology map showing in red the principal gold-bearing veins. 2018 Target Areas are written in black and main deposits in grey. A ramp was advanced from the Lagunas mine workings during the year to provide access for underground drilling at Marianas which started in late Q4-2018. The significant Marianas exploration program, expected to consist of more than 20,000 m of drilling, is aimed at adding mineral reserves and mineral resources. Previous drilling returned multiple intercepts suggesting a zone containing higher than current reserve grades. Exploration in 2019 will include greater focus on testing these high potential targets for new veins on the property, while also replacing or expanding mineral resources and mineral reserves. During Q1, two principal areas are ranked as highest priority: northwest along the Mercedes Trend at Marianas and along the Diluvio-Lupita corridor. Marianas represents the down-plunge extension of the main Mercedes mine trend (Figure 2) and the highest priority exploration target at Mercedes. 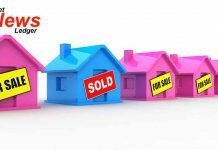 The geological and structural understanding of the property supports these high potential areas. Currently 4 drills are active, and one more will be added shortly. 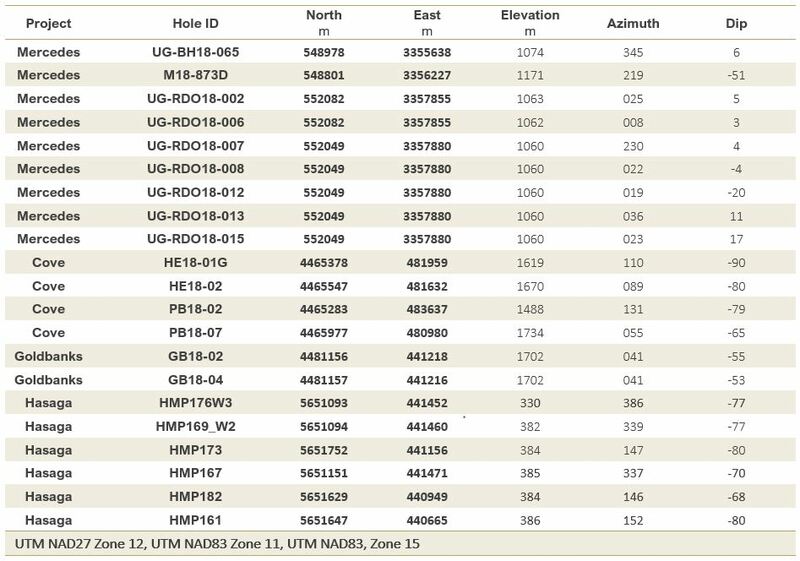 Table 1: Highlighted intercepts from the 2018 exploration program at Mercedes Mine. Figure 2: Isometric view of the Mercedes trend showing the grade thickness map for Marianas Veins and the location of the planned ramp and planned drill holes (red). Barrick processes ore from South Arturo at the Goldstrike facility located approximately 5 km to the south. Figure 3: (Left) Plan view of the South Arturo area showing the position of the Phase 2 Pit and the proposed Phases 1 and 3 (right) Isometric view showing the underground El Niño proposed development. 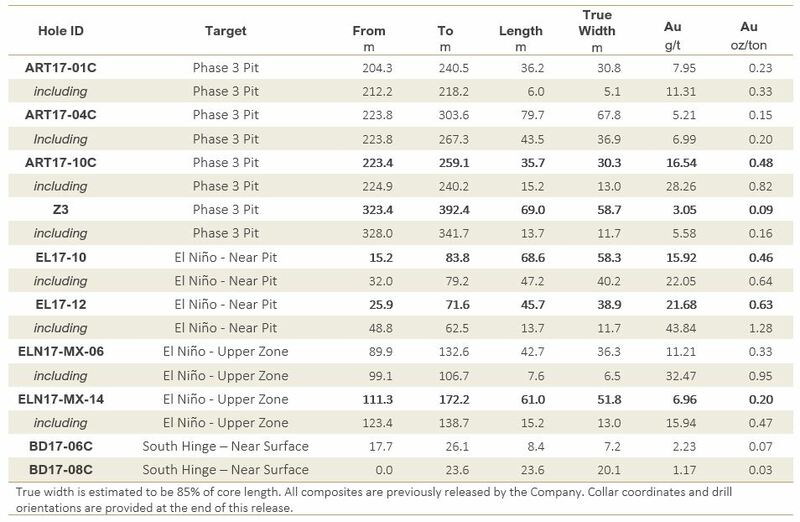 The 2017 exploration results will support mine development in four principal zones: El Niño – Near Pit, El Niño – Upper Zone, Phase 3 Pit and South Hinge Target. Several high-grade intercepts results are shown Table 2. Another highly prospective target is East Dee, located near the P1 pit, was the focus of further exploration during 2018. Table 2: Highlights intercepts at South Arturo from Phase 3 Pit, El Nino near pit and Upper zone areas, and South Hinge. Premier has entered into an Option Agreement to acquire a 100% interest in the Rodeo Creek Property. 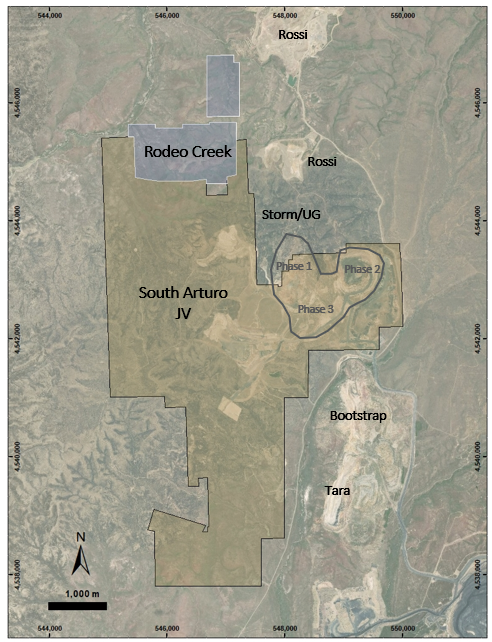 It is strategically located along the Bootstrap Reef/Margin, approximately 10 km northwest from Barrick’s Goldstrike Operations and abuts against Halliburton’s Rossi Barite mine at its north boundary (Figure 4). By adding this project to its portfolio, Premier is increasing its exposure in the prolific Carlin Trend of Nevada. Figure 4: Property limits of Rodeo Creek (blue) and South Arturo (gold) showing the proximity of the near gold mines. The Rodeo Creek Property (31 Claims – 510 acres) exhibits many of the stratigraphic, structural and geochemical attributes that define the mineralized bodies found along the Carlin Trend. Significantly, a historic geochemical survey on the property confirms several of the fault structures encountered at Rodeo Creek coincide with strong arsenic-antimony geochemical signatures. In 2019, a campaign of soil sampling and geological mapping will be conducted, along with a historic data compilation. Drilling will be conducted on the priority targets identified. The McCoy-Cove Property is located along the Battle Mountain-Eureka Trend in Nevada. Past production from the property includes some 3.3 million ounces gold and more than 108 million ounces silver. At the beginning of 2018, Premier announced an agreement with Barrick Gold where Barrick will have an option to earn a 60% interest in the exploration portion of the McCoy-Cove Property by spending US$22.5 Million before June 30, 2022. In 2018, Barrick spent a little over US$4 million at the property. Premier will retain 100% ownership over the Cove Deposit portion (referred as the Cove Carve Out) of the McCoy-Cove Property that includes the high-grade Helen, Gap, 2201 and CSD Deposits (Figure 5). High Grade intercepts identify the potentially extensive Piezo Trend discovery including 4.6 m of 12.69 g/t Au (HE18-02). Importantly, exploration results from the joint venture and Cove Carve Out together confirm that a greater than 4 km footprint of Carlin-style chemistry remains open at McCoy-Cove. In addition, the Favret Formation, a highly receptive limestone host of the high-grade Carlin-style mineralization at McCoy-Cove remains largely untested on a property-wide basis. A Preliminary Economic Assessment (PEA) was completed for the Cove Carve Out project, which sets it as an advanced-exploration project. The project contains four structurally controlled mineralized zones within the Triassic sedimentary package (Figure 5). The highlights of the PEA include: Indicated mineral resources of 1,045,000 tons at 0.327 oz/t Au & 0.861 oz/t Ag for 342,000 ounces of gold & 900,000 ounces of silver and Inferred mineral resources of 4,037,000 tons at 0.327 oz/t Au & 0.609 oz/t Ag for 1,322,000 ounces of gold & 2,457,000 ounces of silver. This mineral resource would support life of mine gold production of 740,000 ounces during 8 years of operations (based on assumptions made in the PEA). The PEA concludes the potential for robust economics (after-tax NPV5 of $142.0 million, and an after-tax internal rate of return of 48%) to exist at the Cove Carve Out with low pre-production capital costs. Based on these positive results, a hydrological flow study and additional permitting is being completed with a view that the Cove Deposit could become Premier’s next 100%-owned mine development. The 2018 exploration program has identified the potential for two “trends” parallel to the Helen-Gap-CSD trend: the Piezo Trend and the Alpha Trend (Figure 5). 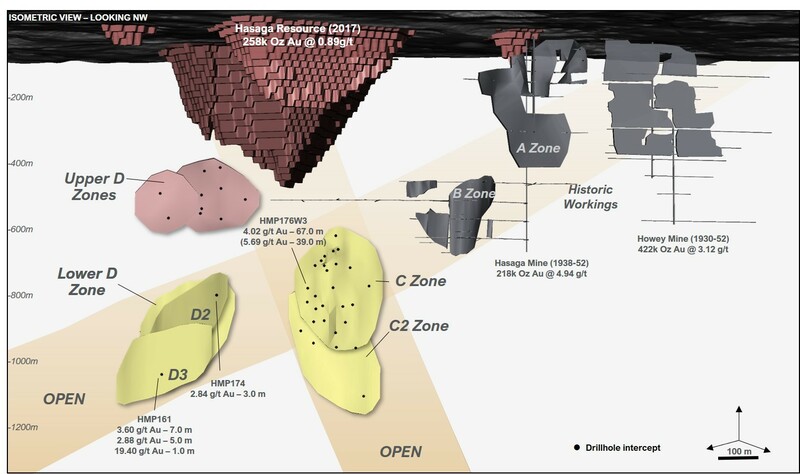 By drilling a piezometre hole 320 m south of the main deposit, Carlin-style mineralization was intersected in similar host rock that returns 4.6 m of 12.69 g/t Au (HE18-02, Table 3). It is thought to be a parallel trend that may have similar potential as the Helen-Gap-CSD trend. This identifies the Piezo Trend as an attractive exploration target occurring in proximity to the Carve Out boundary and may trend onto the 100%-held Premier ground where an intercept in HE18-01G returned 3.0 m of 8.04 g/t Au (Figure 5). Figure 5: Geological map of the McCoy-Cove Project showing the Cove Carve Out (100% Premier) outline and the Piezo Trend and Alpha Trend. 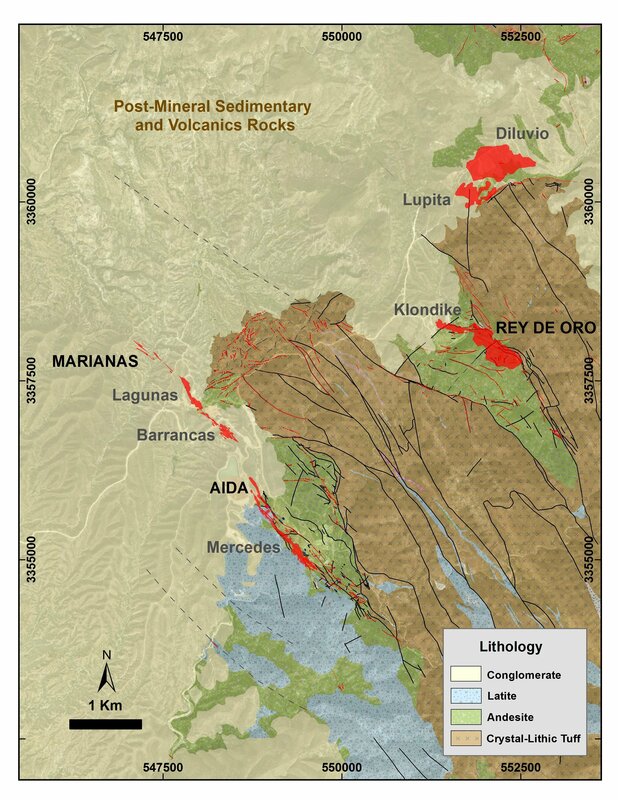 The red mineralized zones are from the PEA. The new exploration discoveries are highlighted with a star. At the McCoy-Cove JV, initial exploration included a property-wide program geochemical and rock chip sampling program to upgrade historic information. This surface work identified a prominent rock chip anomaly at the Alpha Trend. The trend is parallel to the Piezo Trend and the Helen-Gap-CSD trend. The sampled rock chips have high-grade gold values up to 105.0 g/t Au (51 g/t Ag) & 40.3 g/t Au (60.3 g/t Ag). Some samples also returned elevated Pb-Zn: 8.49 g/t Au (8.04% Pb, 1.21% Zn, 242 g/t Ag). The Polymetallic Discovery occurs along the Beacon fault, which shares similarity to the Lighthouse fault that is associated with both the polymetallic mineralization in the Cove pit and the 2201 Zone. The intercept returned 2.7 m of 5.00 g/t Au, 410.0 g/t Ag, 5.7% Zn & 5.0% Pb, and opens the potential for expansion of the 2201 Zone (305,000 tons at 0.596 oz/ton Au and 1.140 oz/ton Ag and 169,000 ozs Au and 350,000 ozs Ag, according to the PEA). The 2018 exploration program successfully identified eleven priority exploration targets, including new high potential trends, on the property. Many of these targets will be the priorities for 2019 exploration. Table 3 – Highlighted intercepts from the 2018 exploration program from McCoy-Cove Project. 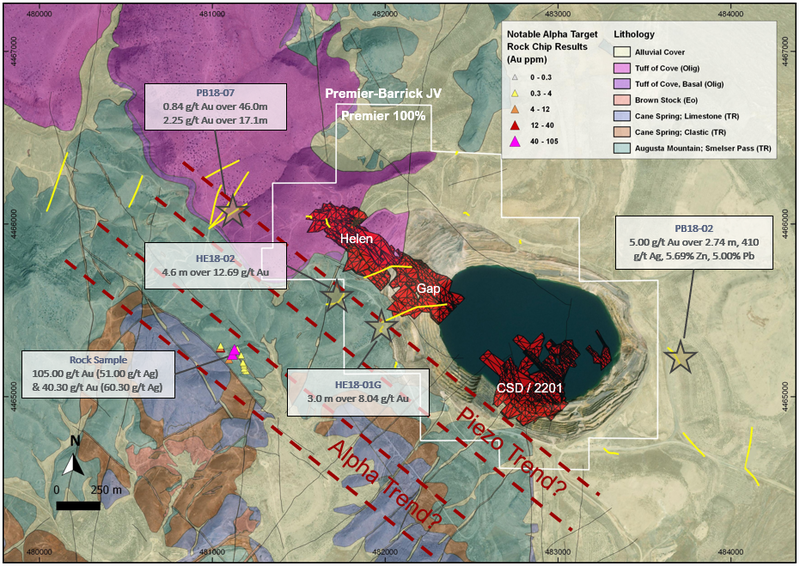 Premier entered into a joint venture earn-in agreement with Kinross in 2016 to acquire a 50% interest in the Goldbanks Project, located in Pershing County, Nevada. Goldbanks (875 Claims – 1,600 acres) has several significant targets on the property including the high-grade Golden Devil discovery and the Main Zone and KW open pit deposits. Although the intensity of alteration at Hawkeye suggested potential, a late-season RC-drilling program did not return any significant gold mineralization. The team is continuing to evaluate the exploration results. 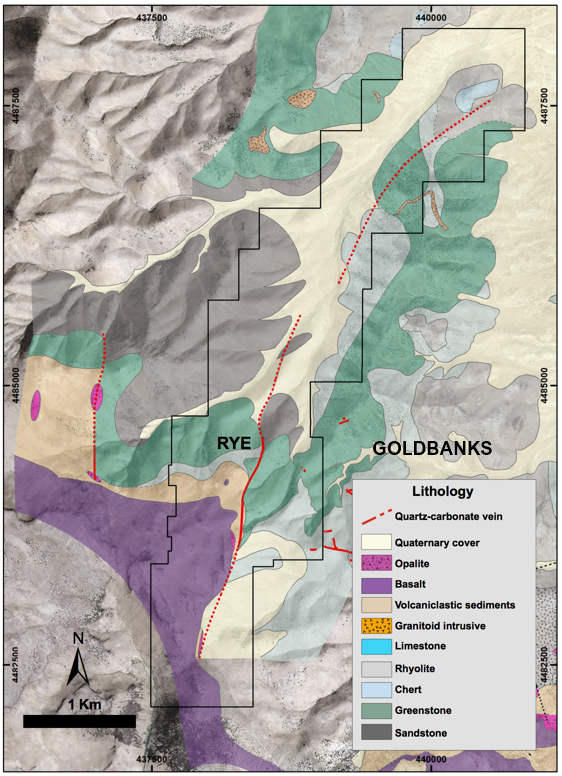 Early in 2018, Premier and Barrick concluded an option to acquire a 100% interest in Rye Vein Property (“Rye”), subject to a back-in right by Barrick, by spending US$3.0 Million in exploration before December 31, 2019. The Rye Property is adjacent to the Goldbanks Property option in Pershing County, Nevada. Rye is a gold-bearing, low-sulfidation epithermal vein system with the potential to host “bonanza-grade” gold mineralization. During 2018, the focus was to complete the compilation of historical data and to define targets for exploration. Rye Project obtained its permits in 2018 and Premier is pleased to announce that a plan of operation is set for 2019, details of which will be released soon. The Rye vein is the largest known vein of this type in the district having been traced on surface over a strike length of more than 2.5 km with mapped widths of up to 30 m (Figure 6). 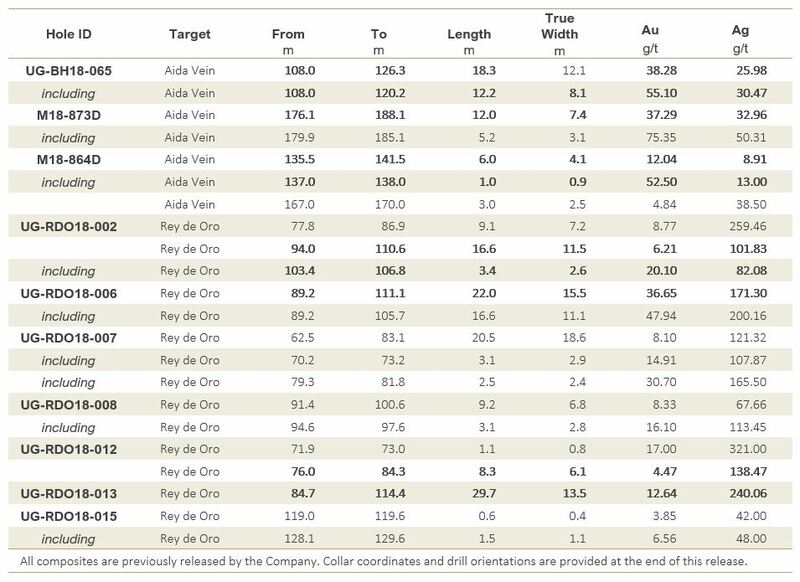 Previous shallow drilling returned numerous significant intercepts with gold grades up to 139.2 g/t Au. Figure 6: Geological map showing the extension of the Rye Vein and the vicinity to Goldbanks Property. The Hasaga Property is in the Red Lake Greenstone Belt, an Archean-aged greenstone belt within the Superior Structural Province. 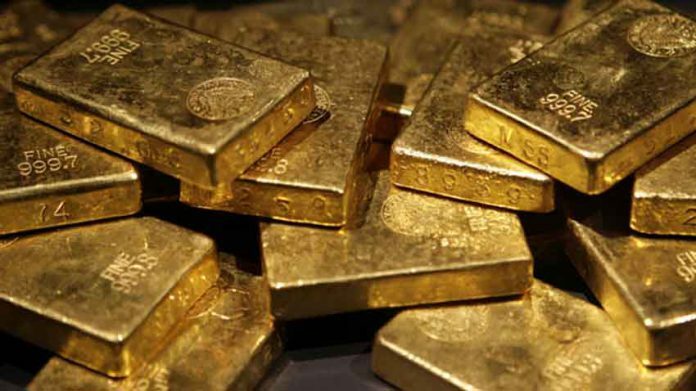 The Red Lake district has produced nearly 29 million ounces of gold from multiple mineralization settings. Gold mineralization at the Hasaga Property occurs as quartz-veinlet stockworks veinlet arrays hosted predominantly within the Dome Stock (a granodioritic intrusion) and the nearby Hasaga Porphyry, a quartz-porphyry dike that occurs within a major shear-zone in the Balmer Assemblage. Figure 7: Isometric view showing the C and Lower D Zones down-plunge to the historical workings of Hasaga and Howey Mines. 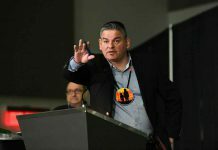 The high-grade intercepts resulting from this exploration campaign, the historical production of the Hasaga and Howey Mines, and the knowledge of the geology of the Red Lake area are many arguments to assure a successful discovery at Hasaga. More drilling is required to better understand any possible link between the different zones at depth. 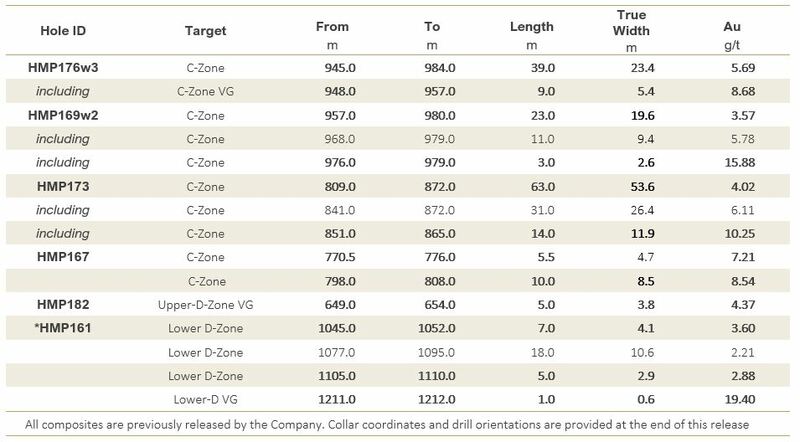 Initial modelling of the C-Zone confirms true widths exceeding 10 m.
Table 4: Highlighted intercepts from the 2018 exploration program at Hasaga. The 2018 exploration program at Hardrock consisted of a RC drill program, initiated to better understand the deposit on a grade control scale. Approximately 20,000 m of RC drilling on a 20x10m pattern were completed in 2018. Adding to this campaign, a milestone was achieved with the Federal EA approval in December 2018. The Hardrock Project lies within the southern sedimentary unit of the Beardmore-Geraldton Greenstone Belt. The Hardrock deposit is characterized by multiple horizons of magnetite-rich chert banded iron formation within a thick sequence of interlayered sandstone-argillite. The sequence is folded by tight to isoclinal, regional F2 folds. Julie-Anaïs Debreil, PhD, P. Geo., is the Qualified Person for the information contained in this press release and is a Qualified Person within the meaning of National Instrument 43–101. Assay results for Mercedes are from core samples sent to ALS Chemex, an accredited mineral analysis laboratory in Vancouver, British Columbia, for preparation and analysis utilizing both fire assay and ICP methods. In Nevada, drill samples from Goldbanks and Cove were sent to American Assay Laboratories in Reno, Nevada for analysis with the analytical facility utilizing a 30 g fire assay with an ICP-OES finish for Core and RC samples. Samples containing visible gold are submitted for screen metallic analysis and all over-limit samples receive an automatic gravimetric finish. At McCoy-Cove, assay samples were sent to ALS Laboratories prep facilities located in Elko, Nevada and Reno, Nevada and analysis was performed at their Vancouver, Canada analytical facility utilizing 30-gram fire assay with an AA finish for Au and ICP-MS 48 element scan from 4-acid digestion for RC and Core samples. At South Arturo, the primary assay laboratories for the South Arturo Mine are ALS Chemex Labs (ALS Chemex) and American Assay Labs (American Assay) in Reno, Nevada. For a complete description of Hasaga’s sample preparation, analytical methods and QA/QC procedures refer to the technical report for the Hasaga Project dated February 24, 2017 (effective date December 30, 2016), entitled “National Instrument 43–101 Technical Report: Hasaga Project, Red Lake Mining District, Ontario, Canada” located on Premier’s website and at www.sedar.com. Table 6: Collar coordinates for South Arturo Project.